As the Baltimore Orioles and the Washington Nationals became the first Major League Baseball teams to clinch a division last night, baseball fans, fairweather and hard-core alike, are gearing up for the most exciting time of year—the postseason. 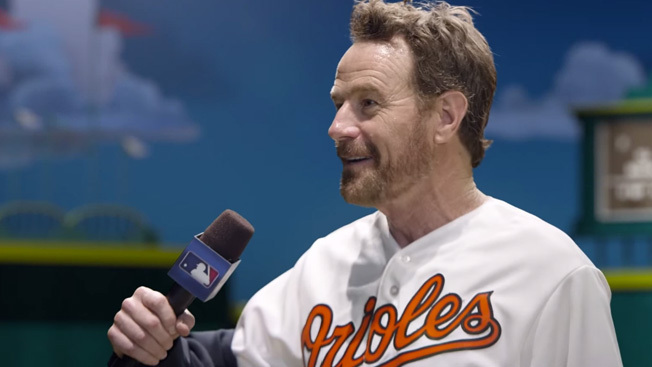 And TBS, which plays a major part in bringing the games into our homes and sports bars, has tapped Bryan Cranston to star in this amazing tribute to baseball's big dance. Clocking in at almost six minutes, this extended ad is a delightful watch as Cranston impersonates some of the game's great players in a comically earnest one-man theater show—citing his muse to be everyone's favorite cartoon rabbit: "You never know when inspiration will hit you … the Bugster … Mr. B. Any actor that tells you that he is not inspired by Bugs Bunny is a liar, frankly—or just a hack." As an added bonus, Misty Copeland and Pedro Martinez make cameos, too, as we follow the former Walter White in his entertaining rollick around the diamond. Check it out, and someone please start a petition to get this on Broadway.